Found 5 file extension associations related to Maxwell Render and 5 file formats developed specifically for use with Maxwell Render. Maxwell Render is a rendering engine based on the mathematical equations governing light transport, meaning that all elements, such as emitters, materials and cameras, are derived from physically accurate models. Maxwell Render is unbiased, so no tricks are used to calculate the lighting solution in every pixel of a scene; the result will always be a correct solution, as it would be in the real world. Maxwell Render can fully capture all light interactions between all elements in a scene, and all lighting calculations are performed using spectral information and high dynamic range data. Due to its very nature, Maxwell Render enables users to create accurate and extremely realistic images. Maxwell Render is a recognized standard in architectural visualization, product design, jewelry, film production, scientific research and other high-end rendering markets, and the leader in render quality. Maxwell Render is a rendering engine that accepts models and scenes created in 3D or CAD applications. 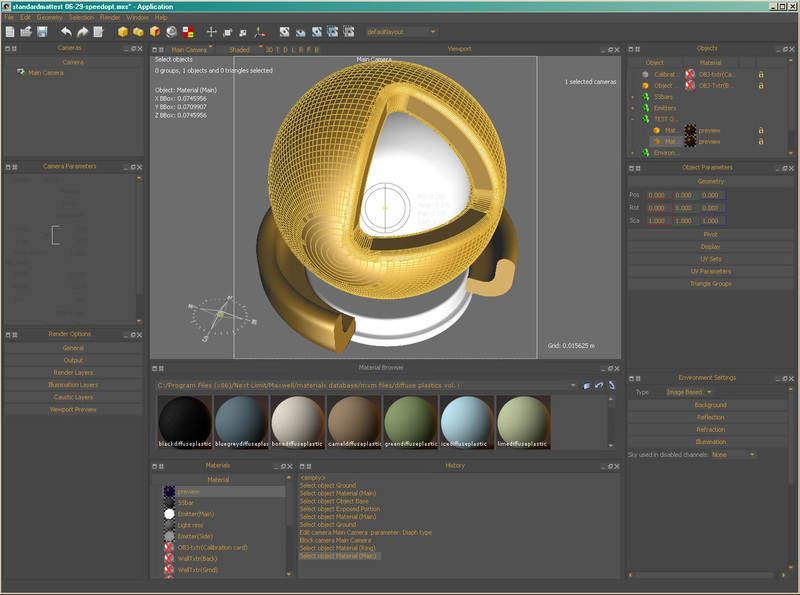 Several of these applications are directly supported through a Maxwell Render plug-in; others can be used in conjunction with Maxwell Render by importing the geometry into Maxwell Studio, a component of the software. If you need more information please contact the developers of Maxwell Render (Next Limit Technologies), or check out their product website.